Solar Village Foundation is a registered a Non Profit Charitable Trust in Tamilnadu. The objective of this trust is to provide various solar projects to the villages in Tamilnadu. We plan to raise funds in US and other countries for the activities of our Trust. A. What is done so far? B. What is next (Phase 2)? 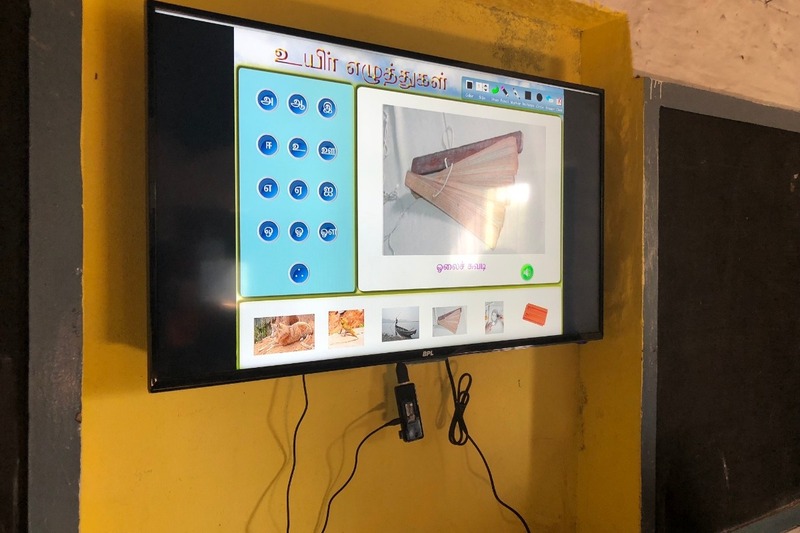 We are working with Rotary International for a grant to provide Solar Smart Class project to 50-80 villages in Sivaganga and Pudukottai districts. C. What will be done with these funds? 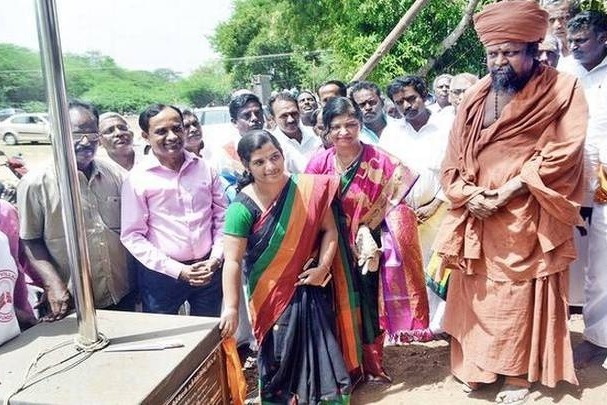 Though there is no restriction for any villages to be covered, for easy administration, we want to have a cluster of villages in Sivaganga and Pudukottai districts. $5000 – To sponsor a village to provide 10 Solar street lights and 1 Solar Smart Class (no limit on no of lights as 20-30 lights can go for bigger villages), or a combination of 2 power plants and 1 smart class or 1 power plants, 1 smart class and few street lights etc within the budget. Donors name will be displayed on a granite stone for street lights or a sign board for other purposes for any donation of more than $400. Please contact me at nnachiappan@hotmail.com for any clarification or to inform your choice. Please donate for this good cause. Any amount of your donation will help to achieve our objective of providing solar energy to the villages in Tamilnadu. Donations can be made from any country using a local credit or debit card and appropriate local currency will be converted to the requested US $ amount. Any benefits to Solar Village Foundation (SVF) or its Trustees? The main objective of Solar Village Foundation is to collaborate with individual donors and charitable organizations to implement beneficial Solar projects for better quality of life in Indian villages. Also, act as an advisory center for providing guidance and solutions for all solar projects. Another objective is to fulfill the charity goals of Dr. Nachiappan and Shanthi. There is absolutely no monetary benefits including commission or profit sharing etc from the service providers to the Trustees or the Foundation. The Trustees and their family members are not partners to any Solar service and parts providing companies. The Trustees do not have any financial interest with the Solar dealers selected for implementation. All the donations collected will be spent entirely for the projects intended for. Any amount left over from a particular village project or smaller donations will be used for any other villages. As a matter of policy, we will not refer or recommend the dealers we use for these projects to anyone for their personal projects. 1. SVF works with the District Collector’s office/ BDO office to get all the approvals to install street lights and smart class. 2. SVF works with donor agencies to get matching grants (upto 60%) which can be used to install additional street lights in the villages of donors or in other villages completely free of cost. 3. SVF works with Solar Manufacturers to get 50% subsidy for smart class. 4. SVF provides technical advice and selects the right type of dealers to provide services. 5. SVF conducts surveys to select the right type of needy villages and schools. 6. SVF works on the location selection and monitors the installation process. 7. SVF makes all the arrangements for any inaugural function such as selection of chief guests, printing of invitations, banners etc. 8. SVF works with PRO to get proper press coverage to make the solar energy projects popular which stimulates more funding from donor agencies. 9. SVF connects small donors(less than $400) so that donation from multiple donors can be pooled to adopt a village. 10. SVF provides matching contribution for maintenance purpose as below. 5 % of any contribution towards Village Adoption scheme subject to a maximum of Rs. 10000 for every village (upto a total of Rs. 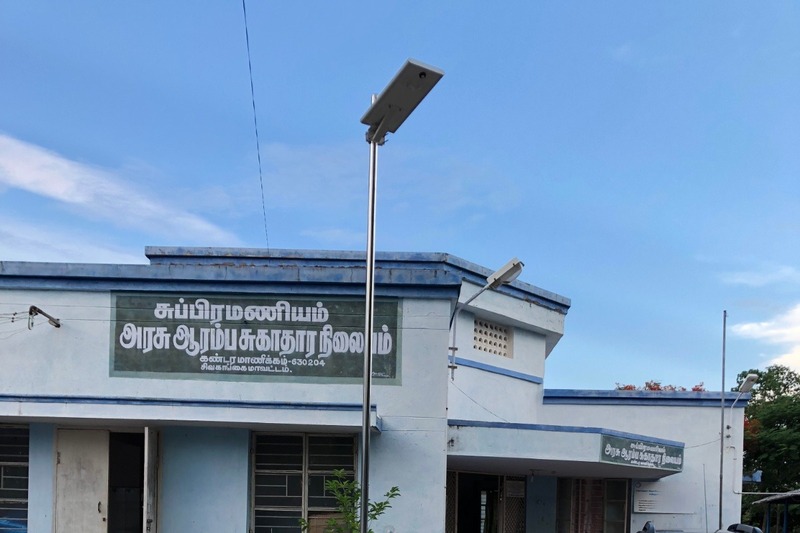 200,000) will be assigned by Dr. Nachiappan Narayanan for the purpose of maintenance of Solar Street Lights and Power Plants after the warranty period to show our interest in this noble cause. A portion of the donation will be reserved for the purpose of repairs and replacements after the warranty period of all Equipments installed (Street Lights- 3 years, Solar power plant Inverter - 2 Years, Battery - 4 years, Solar Panels - 5 years and Solar Smart Class- 5 years). 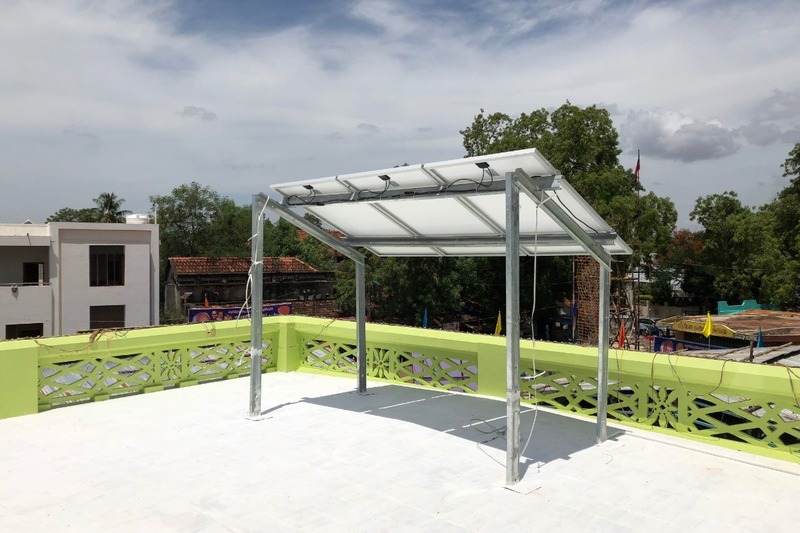 The Solar Village Foundation and its Trustees assume no responsibility for the actions of the Solar dealers in implementation including the quality, warranty and maintenance aspects of all the installations. Also, the Foundation does not guarantee receipt of grant mentioned here from any agencies or trusts including Rotary and Lions International. If the grant is received it will be used with the joint cooperation of Rotary or Lions International for the benefit of villages as per the proposal submitted and approved. 1. $10,000 Donation from Dr. P. Chockalingam and Mrs. Mallika Chockalingam for Rangiem village - 20 solar street lights+3 Solar Power Plants for 3 local temples + 1 Solar Smart Class for local school. 3. $3500 Donation from Ramu Venkatachalam and Mrs. Alamu Ramu for Ilayathankudi Village - 8 solar street lights + 1 Solar Smart Class for local school. 6. Donations received for Vairavan Koil, Iraniyur Koil, Iluppakudi Koil, O. Siruvayal, Nerkuppai, Kandavarayanpatti, Karungulam, Koratti, K. Alagapuri villages so far. Thanks in advance for your wishes and support.